When it comes to winter here in the northeast, ice and snow are as inevitable as the sunrise and sunset. Every homeowner knows the headaches that can accompany those forces of nature. 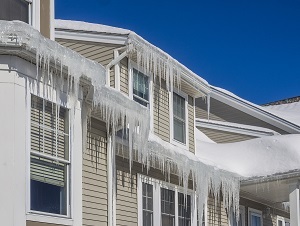 In fact, one in every 50 insured homeowners files a claim related to water damage or freezing every year according to the Insurance Information Institute.